Speidel high quality tanks are made of high density polyethylene (PE plastic) and is intended for storing food. 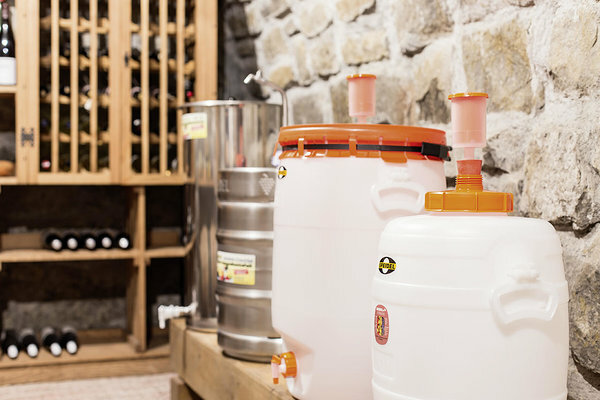 Speidel tanks are suitable for both, fermentation and storing beverages to ensure their long-term preservation. The smooth interior surfaces of the tanks simplifies cleaning process and makes it possible to clean the tanks without chemicals. The upper opening allows easy access to the content and also eases the filling and cleaning processes. The tanks have airtight seals that help to maintain the quality of the beverage and thick walls to maintain the taste, aroma and freshness. It also limits the oxidation. It is possible to add an airlock and a plastic gasket valve with a tap for Speidel tanks.